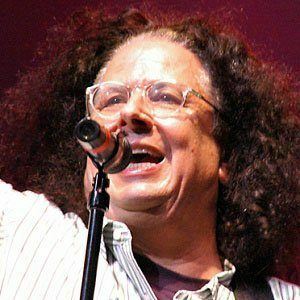 Singer/songwriter, rock and roll guitarist, and founding member of the 1960's band The Turtles, best known for their hit "Happy Together." After graduating from high school, he started The Turtles along with Howard Kaylan. The duo would continue to perform together as Flo & Eddie. In 1992, Volman went back to school, earning his BA from Loyola Marymount University, later returning to LMU for his MFA. He was born in Los Angeles, California, and his parents were said to be "perplexed" by their son's return to academics. Volman and his Turtle's partner Howard Kaylan were also a part of The Mothers of Invention, legendary rocker/composer Frank Zappa's back up band.